Come away to the lovely countryside for good food, real ale, fine wine and a lot of fun and games. Walkers can explore for miles. Exhausted urban dwellers will unwind in this good old-fashioned pub. Remote it may be and surrounded by miles of green fields but there’s lots going on. 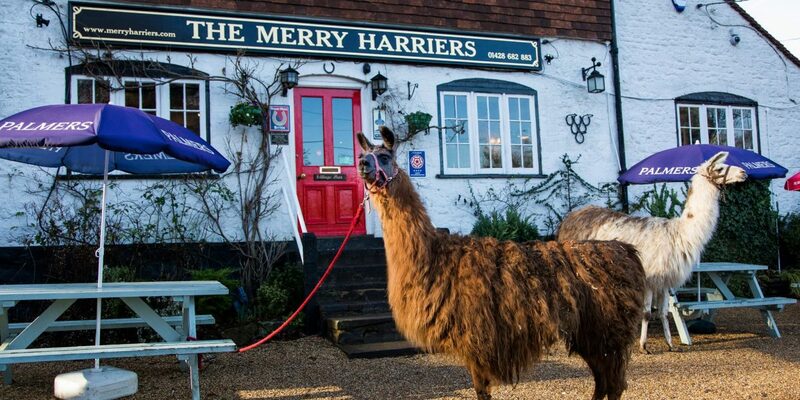 Llamas to visit, jazz in the garden, a pub quiz once a month and a lively, bustling atmosphere.